BMW CEO Krueger has made the boldest promise of any automotive brand about self-driving cars thus far. 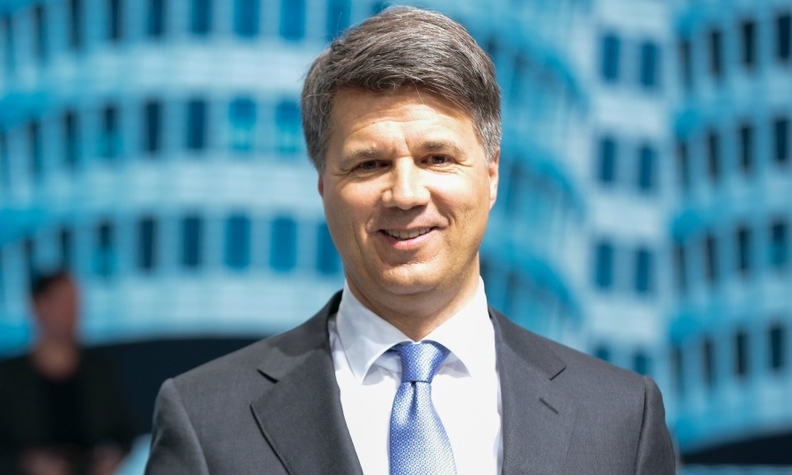 Harald Krueger hasn’t had the easiest of starts as BMW CEO. When he inherited the post, the company had enjoyed 10 hugely successful years following the Strategy Number One plan created by his predecessor, Norbert Reithofer. Krueger arrived right as BMW and the overall industry found itself at a crossroads. First, the tremendous growth in sales and profits in China has disappeared so much so that BMW was forced to provide financial relief for dealers who had never before experienced sluggish demand in new car sales. Then Mercedes-Benz became the hottest-selling premium marque in the world, passing Audi last year and pulling ahead of BMW brand so far in 2016 thanks in large part to a return of sexier models such as the sumptuous C-class Coupe. Finally, startups such as like Tesla and Uber were assigned substantially higher valuations by investors than BMW since they were considered to be more innovative and their futures more promising. Where was Harald Krueger during these challenging times? After being shielded from the public and the media during his months as CEO-elect, Krueger silently withdrew to work on the group’s first strategic rethink in nearly a decade. The resulting plan, announced in March during his first major press conference, was a big disappointment. When it came to autonomous driving, BMW surprisingly applied the brakes. Krueger essentially wrote off the idea for the rest of this decade just a few months ago, saying that “technical and social challenges” were simply too great. Meanwhile, Mercedes and Audi were squaring off with Tesla and Google for leadership in the field. After hearing that comment a classic quote from W.C. Fields came to my mind: "If you can’t dazzle them with brilliance, baffle them with bull#$%*." Analysts fretted about BMW losing its edge. One contact in the retail fund industry told me that the carmaker tried to soothe investor concerns over the company’s direction under Krueger by saying: “Don’t worry, Reithofer is still around.” And all of this was happening in the midst of the industry’s most transformative shift in its 130-year history. Now the good news: Friday’s announcement by Krueger that BMW would team with heavyweight tech partners Intel and Mobileye to push hard into autonomous driving was huge. BMW now says that by 2021 it will have the technical capability to offer Level 5 autonomous functionality. That means “robocars” that can drive around without passengers. Even the recent amendment to the Vienna Convention on Road Traffic that legally enables highly automated driving still requires a human occupant in the vehicle at all times. It’s the boldest promise made by an automotive brand about self-driving cars thus far. And just in case anyone may not be familiar with the various degrees of autonomy, there is no Level 6. Make no mistake, this is a landmark deal and to form this super-alliance before Mercedes and Audi (or Tesla, for that matter) was a coup for Krueger and his board. Intel processor chips are a worldwide brand, a seal of quality in the computing world, and Mobileye, while less well known to consumers, is a powerhouse when it comes to machine learning and artificial intelligence. Morgan Stanley is so impressed with the Israeli company that it created an entirely new description for it: Super Tier 2 supplier. BMW’s two tech partners are committing substantial resources to the project -- Intel’s CEO said he would spend “several hundred million dollars” on funding the development while Mobileye said a seventh of its entire staff would be working on the project. Somehow I doubt Intel and Mobileye want to dedicate further resources by duplicating those efforts with another automaker, especially if they can just integrate new partners into the alliance. So I could easily foresee this becoming the gold standard for autonomous driving. Can Mercedes and Audi, which have already partnered with BMW to acquire high-resolution map provider HERE, somehow avoid ending up in this open consortium? Could they find different, yet equally capable partners to replicate what BMW did Friday? Nvidia perhaps? Audi’s development boss, Stefan Knirsch, is a big fan of Nvidia, whose Drive PX 2 supercomputer offers the complex sensor fusion needed in autonomous driving. Above all, do they want to? Both German premium brands know that Google and Apple are developing an autonomous car on their own because they have financial resources the likes of which auto executives can only dream. My bet is that sooner or later Mercedes and Audi will realize BMW beat them to the punch. The most logical decision would be to join forces with their rival – even if it may be on BMW’s terms.